Because many of our friends and neighbors struggle financially every day, there are many charities that work hard to help people in need. Here’s a list of local nonprofits that have additional needs for the holidays. While you’re at it, consider bringing a basket of homemade goodies, fresh fruit or colorful flowers to show your appreciation for the staff and volunteers at these nonprofits. To learn about many other ways to help throughout the year, visit www.volunteercherokee.org. Each Christmas, the Cherokee County Homeless Veteran program reaches out to veterans living in assisted living facilities, nursing homes or at home alone. Last year the program supported more than 220 veterans in senior facilities, 25 veteran families who were financially challenged, and more than 15 homebound veterans who live alone. To request aid for a veteran in need, or to support the program, contact Jim Lindenmayer at jlindenmayer80@gmail.com or 678-983-7590, or Betty Lewis at 770-318-6451. Registration for Adopt a Senior will be open until Dec. 8. The following items are needed to fill gift bags: two bath towels, $25 grocery gift cards and a book of stamps. Other items also are accepted, but nothing perishable. Drop off donations at the Senior Center at 1001 Univeter Road, Canton. 770-704-2320. 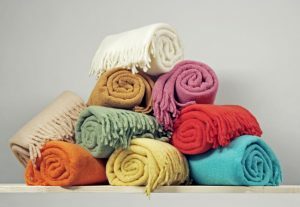 The Cherokee Recreation and Parks Agency is collecting items for nursing centers in Cherokee County until Dec. 7 for the first Hugs in a Blanket campaign. Individuals can bring a warm blanket and a pair of unisex slipper socks to the rec center at 7545 Main St., Building 200, Woodstock. For more information, call 770-924-7768 or email lcollett@cherokeega.com. Items are needed year-round. The center has a transitional housing complex with 72 units for single moms and their children, an emergency shelter that accommodates 12 women and children, and a legal department providing services for victims of intimate partner violence. Donations requested: new pots and pans, plates, cups, mugs, silverware, Tupperware, sheets, etc. to establish a new household. Craft materials for the children’s program, such as glue sticks, bottles of glue and craft kits. And, for the emergency shelter: white towels and washcloths, white twin sheet sets, pillows, new socks, undergarments, and pajamas in a variety of sizes. For delivery details, call 770-479-1704, ext. 101 or email stephanie@cfvc.org. Cherokee Youth Works (CYW) is a program of the Cherokee FOCUS collaborative. CYW works with youth and young adults ages 16-24 to help them gain and retain employment, and obtain an education. 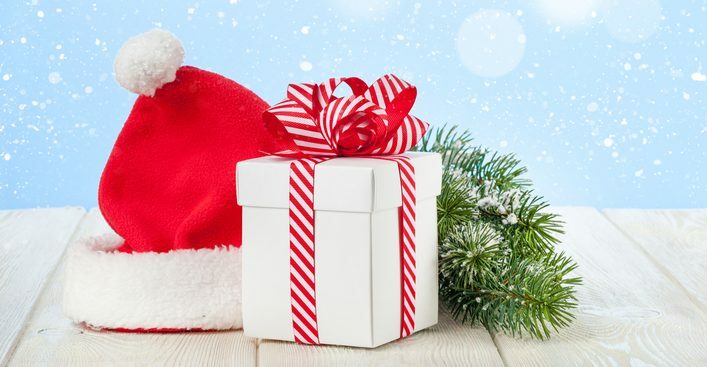 The wish list includes gifts that assist and support the goals of the participants, such as monetary donations or gift cards for items such as: gas cards, GED testing fees, college admission fees, transportation, child care, temporary housing, clothing for work and other supportive gifts. Contact Katie@cherokeefocus.org or call 770-345-5483. The Children’s Haven promotes the health and happiness of children in Cherokee County who are affected by abuse. The group works to ensure their safety, advocate on their behalf and respond to their needs. Holiday needs include: new coats, socks, pajamas and underwear. Target or Walmart gift cards are welcome. Items can be dropped off at 1083 Marietta Highway, Canton. 770-345-3274. 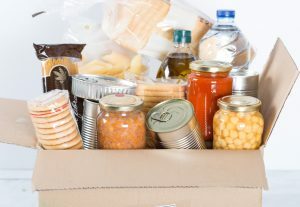 Forever Fed is asking for donations of non-perishable food items (canned soups are always needed), coats and laundered blankets and towels in good condition. To donate, contact Susan@ForeverFed.org or phone 678-883-3314. The holidays can be difficult times for the foster youth who are served by Goshen Valley. The youth can use a little extra support from their community, and area residents can help by providing meals for the young people and house parents. “Frozen casseroles are a huge blessing for our house parents, who are having to prepare three meals a day when the boys are out of school,” says Zach Blend, CEO of Goshen Valley. Individuals or small groups are encouraged to donate frozen meals. You even can deliver them in person and take a tour of Goshen Valley. Gift cards from Walmart, Target and Amazon also can help to fill many Christmas wish lists, and gas cards are encouraged. The executive director at Goshen Valley Ranch, Stacy Cooper, is putting together an Amazon wish list for the youth. If you would like to purchase a specific gift for one of young people, please email Stacy at scooper@goshenvalley.org or call 770-796-4618. The pregnancy diagnosis and support center can use donations of new, unwrapped toys for children up to age 18 for the Christmas toy closet. Donations accepted through Dec. 11 at The HOPE Center, 295 Molly Lane, Suite 120, Woodstock. 770-924-0864. The annual MUST Toy Shops, including one for Cherokee County residents, are collecting new items for children living in poverty. Toys, stuffed animals, games, bikes, dolls (every ethnicity), sports equipment, underwear, socks, T-shirts, hats, scarves, gloves and blankets are in particular need. Gifts for tweens and teens are particularly helpful. Drop off donations at 111 Brown Industrial Parkway, Canton, or email ToyShop@munstministries.org if you would like to volunteer! Toy shops will be open by appointment only Dec. 1-15. The Woodstock nonprofit, which helps area residents in need by distributing food and personal hygiene items, is seeking sponsors for their Christmas Assistance Program. This program is still open to applicants. Please visit their website to learn how you can become a sponsor, or click the donation tab and make a monetary donation to help purchase gifts. The Jasper agency serves North Cherokee, Pickens and surrounding counties. Free and confidential services include pregnancy tests, first semester ultrasounds, parenting classes and much more. The nonprofit, which serves pregnant moms and families with children up to 5 years old, needs diapers, wipes, baby clothes size 0-3T, pack-n-plays, baby shower items and financial contributions. 706-253-6303. The pantry is accepting donations for holiday meals, including turkeys, hams, produce and nonperishable food items. A list of seasonal needs is kept up-to-date on the website. Papa’s Pantry is a food and stability training organization for those in need. For details, call 770-591-4730. The Secret Santa program of the Department of Family and Children Services for Cherokee County offers a way for individuals, businesses or larger groups, such as Sunday school classes or Scout troops, to help the more than 300 children in foster care this year. Sponsors can donate as much or as little as they can afford. All size donations are appreciated. For more details, visit our website, call Secret Santa at 470-235-0753 or email cherokeesanta@yahoo.com.